I was at university the first time I visited Venice in winter. The setting was everything I’d imagined it to be, and I was immediately captivated by the mysterious city on water. Venice is a destination that appeals to every type of traveler. It’s a place where couples can get lost in the side streets, and in each other. 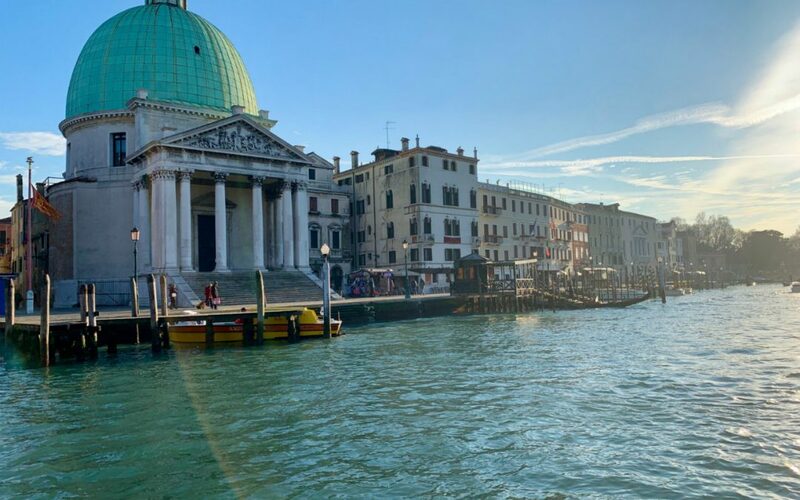 Venice is also the meeting point for students studying the inspiring art history and architecture that’s around every turn. While summer brings the heat, and with it the excitement of possibility, winter brings the calm. And as much as I prefer warmer weather, I’m more drawn to tranquil surroundings, especially when I travel. When winter arrives in Venice, the city becomes even more alluring, with an uninterrupted angle to photograph around every corner. What’s the weather like in Venice in winter? 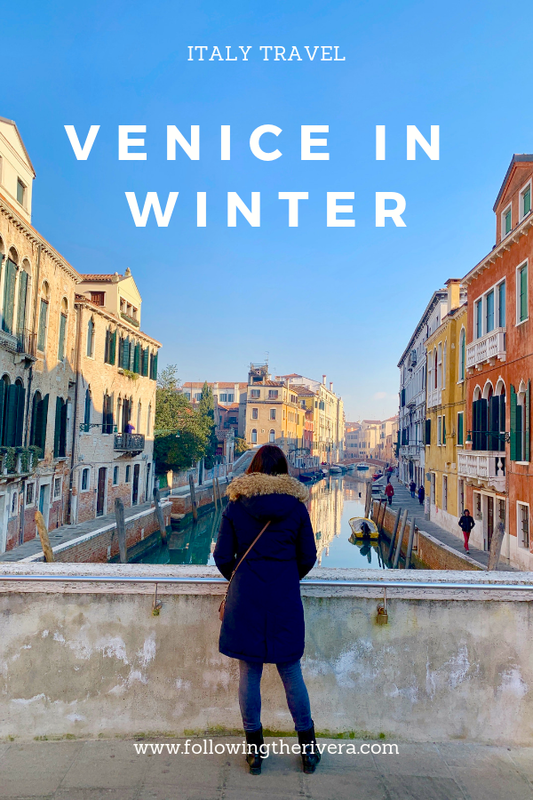 The weather in Venice come winter can include everything from heavy downpours to snow when the temperatures really dip. Personally, I’ve been really lucky when visiting during the colder months, only experiencing plenty of winter sunshine. Truthfully, Venice in winter can get really cold, but pack the right clothing and you’ll be fine. It’ll come as no surprise that there are far less tourists in Venice in winter. The period before Christmas and after the new year is the time I most enjoy visiting. I get a pang of anxiety when thinking about the number of people that flock to Venice in summer. There’s the hordes of people at Piazzale Roma either arriving, departing, or lining up to buy tickets for the vaporetto. Then there’s getting on the vaporetto itself, and having the (dis)pleasure of being sandwiched between sweaty tourists. Winter in Venice is a more chilled experience. Sure, you get the occasional irate Venetian losing their cool, and speaking passionately in their local language. But, it’s nothing compared to crowds of tourists from everywhere — some happily shouting, others out of frustration. On the vaporetto, you can choose, rather than be forced to stand, when visiting during the winter period. I prefer standing to get the best views of Venice, and in winter, there’s no one obstructing your shot. Along the banks of the canals, you’ll see rows of iconic gondolas, and the gondoliers vying for your custom. Personally, I find the gondola rides too expensive, but I understand it’s a one-off experience for many. A fun and less expensive option is to learn how to row like a gondolier. Then you have the water taxis. The price can also be costly, but if splitting with family or friends, it’s a chic way to whizz around Venice. 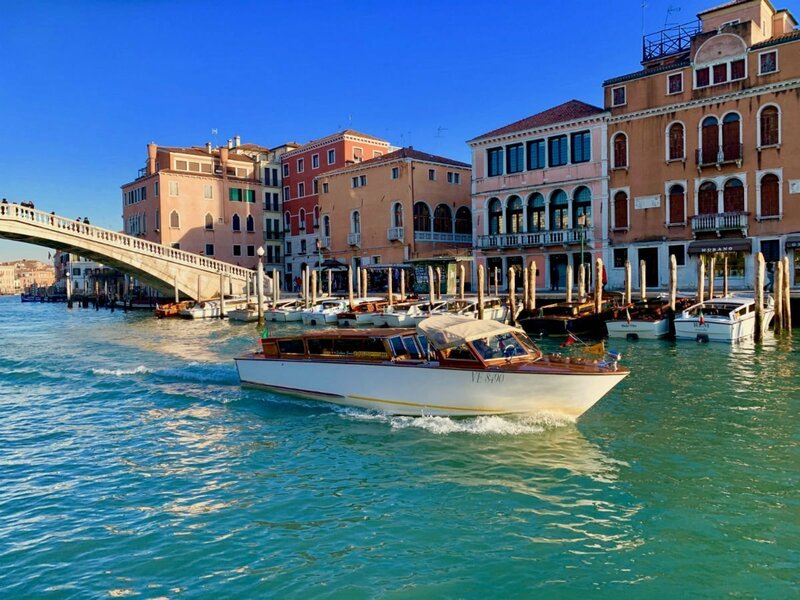 Water taxis can also accommodate up to 10 people, so consider it like your personal limousine in Venice. From all the transport options available in Venice, nothing beats exploring this incredible city than by foot. It goes without saying that comfortable footwear is essential, because you’ll be walking a lot. In winter, choose something that’ll keep your feet warm and dry, but will still keep you looking stylish. American brand Sorel has a wide range of comfortable yet chic walking boots, ideal for walking around Venice in winter. The region of Veneto is known for its comfort style of cooking, and dishes that are ideal for winter. One ingredient that’s seasonal in winter and I can’t get enough of is radicchio. 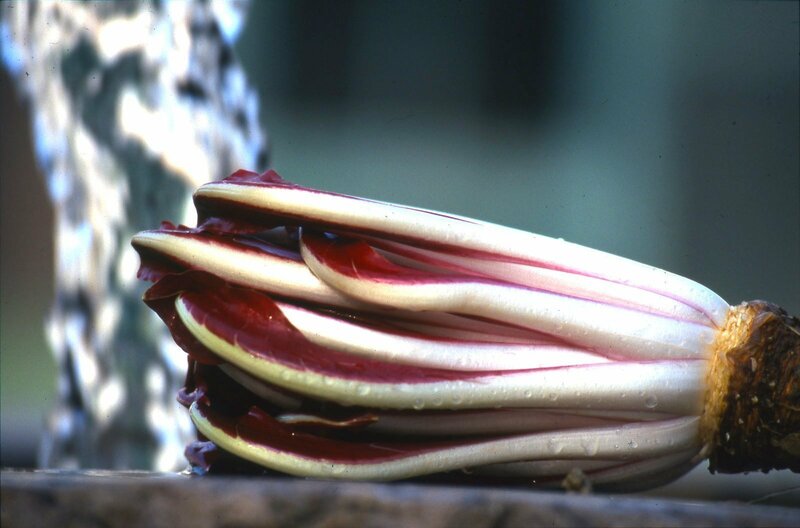 Forget any packet salad radicchio because the variety they have in Veneto is unlike any other. With all the walking you’ll be doing in Venice, stopping off to recharge is one of my favourite pastimes. For breakfast, there are tons of good pasticceria places in Venice, serving buttery croissant and frothy cappuccinos. Take a walk to Campo Santa Margherita, where you’ll find many good breakfast places. For those unfamiliar with how Italians do breakfast, it’s short and sweet. Don’t expect a full English breakfast, or anything containing eggs. A classic Italian breakfast consists of coffee and something sweet, like a croissant or biscotti. Rather than sit down to a standard lunch, try something a little different and head to a cicchetteria. Cicchetti are small snacks or side dishes that not only taste good, but are also budget friendly too. 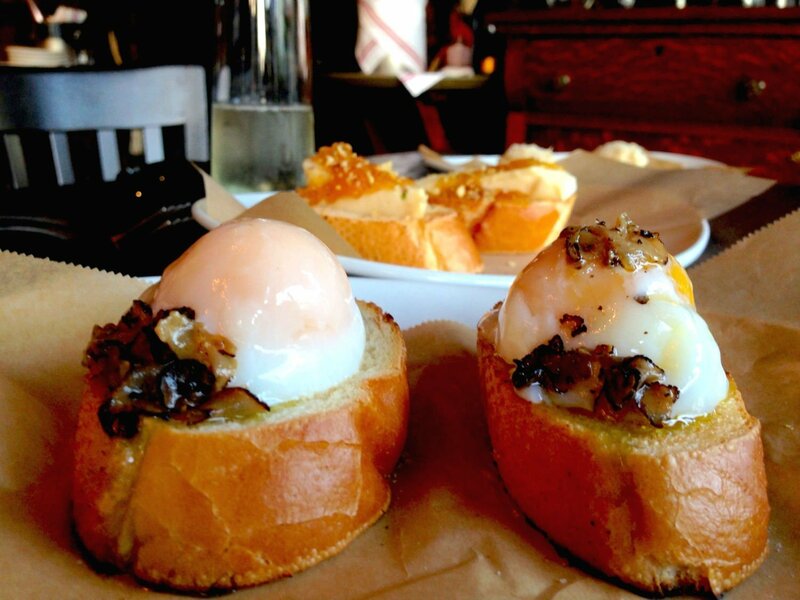 Many bars, known as ‘bacari’ serve up different types of cicchetti, which include sandwiches with various toppings. There are vegetarian and vegan cicchetti options available too, so everyone gets a try. During winter, you’ll meet more locals at the bacari, whereby the more rustic and no-frills the bacaro, the better. Once you find a good one, I encourage you to try at least 3 cicchetti. Pair it with a glass of local wine and blend in with the locals if only for a short time. The period between Christmas and carnival in Venice brings with it a smorgasbord of delicious things to try. 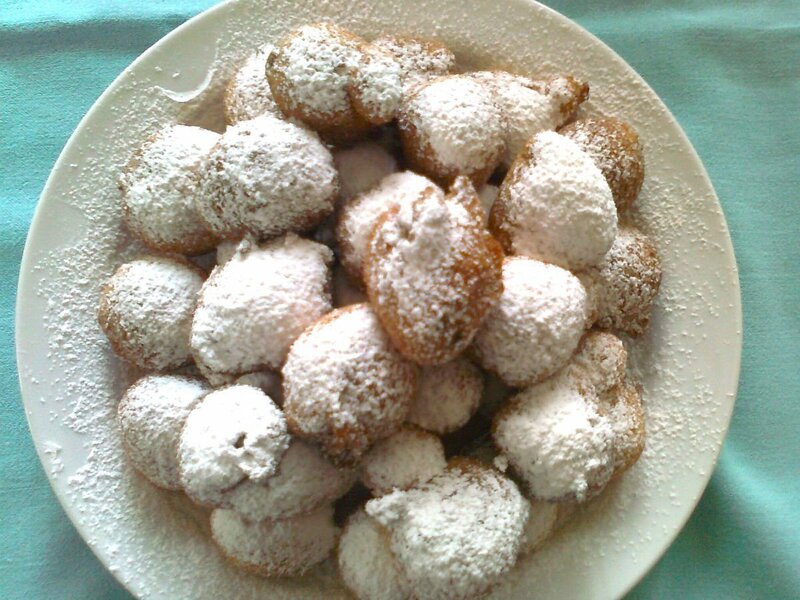 Frittelle are balls of fried doughy goodness, usually filled with cream or zabaglione. As with the cicchetti places, it’s not easy to find a pasticceria that sells good fritelle. The only thing you can do, is try a few and decide which is best. During carnival that takes place in Venice in February, another seasonal sweet favourite is Venetian crostoli. These sweet crispy pastries are served with a sprinkling of sugar and are a common sight during carnival. Dining out in Venice can be expensive, but you can’t leave without trying out any of their best restaurants. You not only get the chance to sample excellent Venetian cooking, but also during winter, in a relaxed setting. Visiting in the colder months has many advantages, the first one being availability. Making a reservation at any of the top restaurants in Venice is vital. And in winter, it’s a lot easier. Some of my favourite restaurants in Venice include La Colombina and Alle Corone. The former’s a cosy style trattoria, where you can eat well without any pretention. Seafood’s served fresh, and no true Venetian kitchen is complete without a bigoli pasta dish on the menu. Alle Corone is the restaurant of luxury hotel Hotel Ai Reali, and is worth every Euro. 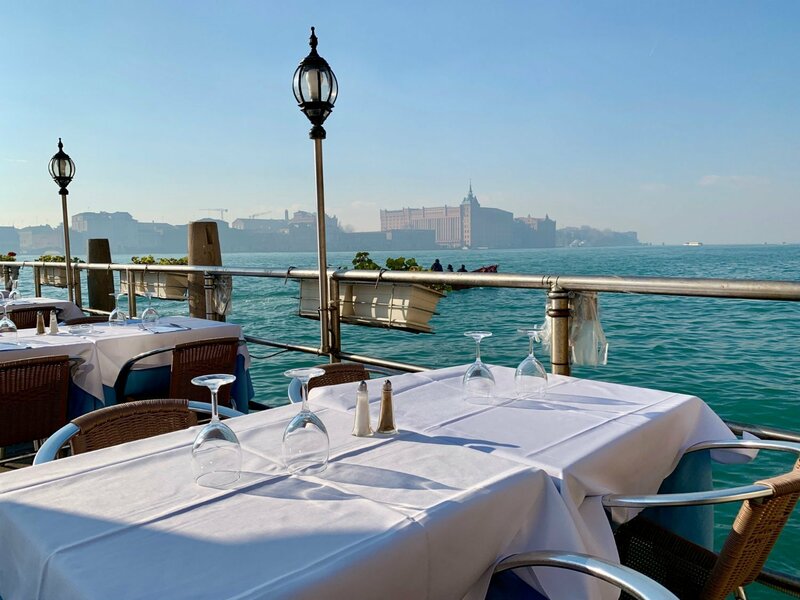 Dine on some of the best, and seasonal, Venetian cuisine, while admiring the gondolas passing by your window. When you travel to Venice during the winter months, there’s moments where you’ll feel like the city is yours. Move away from Piazza San Marco and the Rialto, and discover the ‘backend’ of the city. Cross over the smaller bridges connecting Venice, and stop as often as you like to take photos. It’s also in these parts of Venice where you see normal life happening. Many visitors tend to forget that people live, work and study in Venice, and during winter, you see it immediately. A good example of this are the workshops where they make the gondolas. It’s only a short distance from the allure of Venice’s Grand Canal, but intriguing to see behind the scenes. As an amateur photographer, I can’t stress how much better it is to travel to Venice in winter. No angle of the canal or of the Rialto Bridge gets tiresome. Instead, scenes come to life, during the day, or at night. And with the help of a little post production, the colours of Venice pop that bit more. It’s no secret that top hotels reduce their prices during the off-peak season to attract more guests. Saying that, when you travel to Venice in winter, staying at a boutique, luxury boutique or luxury hotel is doable. Location, location, location is the buzzword at Novecento Boutique Hotel. It takes around 5 minutes to reach the impressive Gallerie dell’Accademia, and around 10 minutes to reach Piazza San Marco. The rooms showcase a mixture of Mediterranean and Oriental design, created by Italian artists and stylists. Thai platform beds and Moroccan carpets sit alongside Venetian marble in this wonderfully unique boutique hotel. Breakfast is a homemade affair, in the form of a buffet serving products straight from the market. Spend time in a 4-star boutique hotel that has a modern feel, and treats every guest like royalty. There are 11 suites at Corte di Gabriela, ranging from comfort to the generously sized Junior Suite Balcony. Breakfast at Corte di Gabriela receives consistently high reviews, and it’s understandable. Items include freshly baked croissants with dark chocolate filling, locally produced ham and Asiago cheese. Steaming coffee sourced from a local coffee roaster is served from the traditional Moka, rounding off the meal. 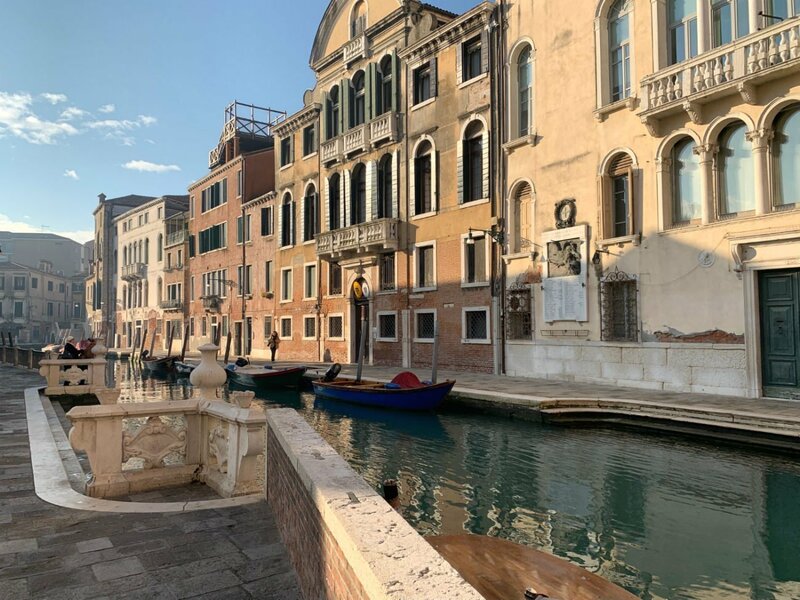 Families, or larger groups, traveling to Venice may prefer booking one of the suite apartments. They can accommodate 4 people, and Corte di Gabriela provide daily fresh linens and towels for your stay. The apartments are in a separate building a few metres away from the main hotel. Enjoy a ‘home away from home’ experience, and pretend momentarily that you also live in the heart of charming Venice. 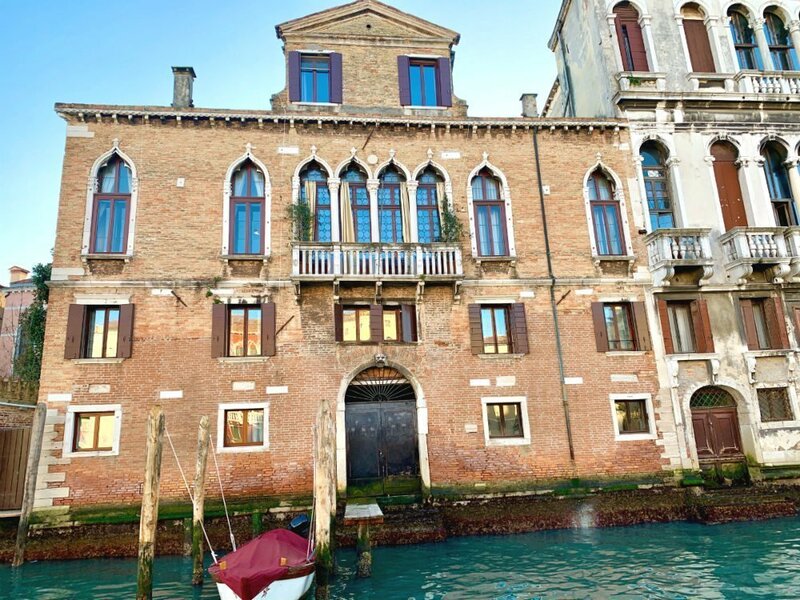 Nothing screams luxury in Venice than checking into a 5-star 15th century palace. 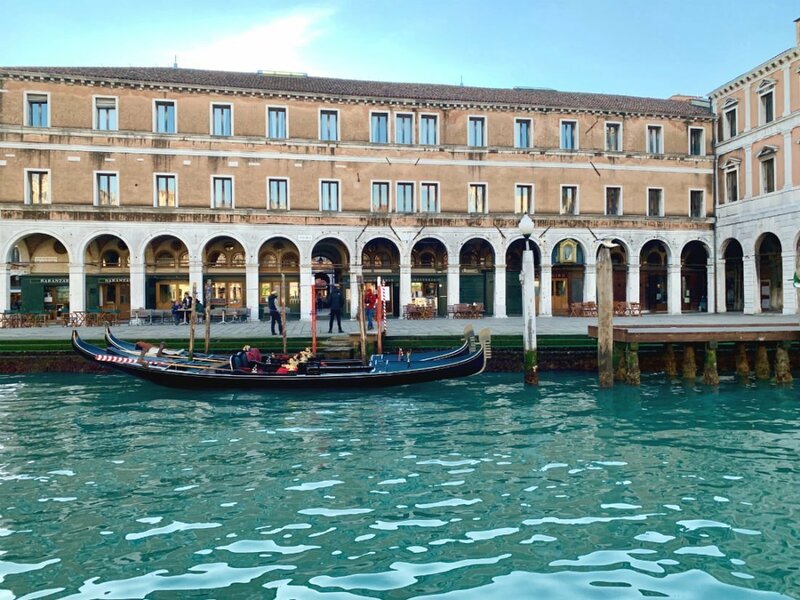 Securing one of the top locations on the Grand Canal, The Gritti Palace interiors are even more impressive. Types of accommodation include Patron Canal Suites to Venetian guest rooms. The former offers views of the Grand Canal, marble bathroom with a walk-in shower and unique art adoring the walls. Venetian guest rooms have Venetian stucco, or Rubelli customed designed silk walls, Murano glass chandeliers, and historical oil paintings. Whichever type of suite you choose at The Gritti Palace, your stay’s bound to be memorable. If you’re not already sold on staying at The Gritti Palace, maybe a mention of its spa might do the trick. There are 2 double spa suites with private steam baths decorated in Venetian mosaics. Your skin and general wellbeing is in good hands as they use Sisley Paris products. This premium skincare range is used by many top spas around the world and are extremely effective. Treatments at The Gritti SPA include couple’s massage, facials and a foot bath. 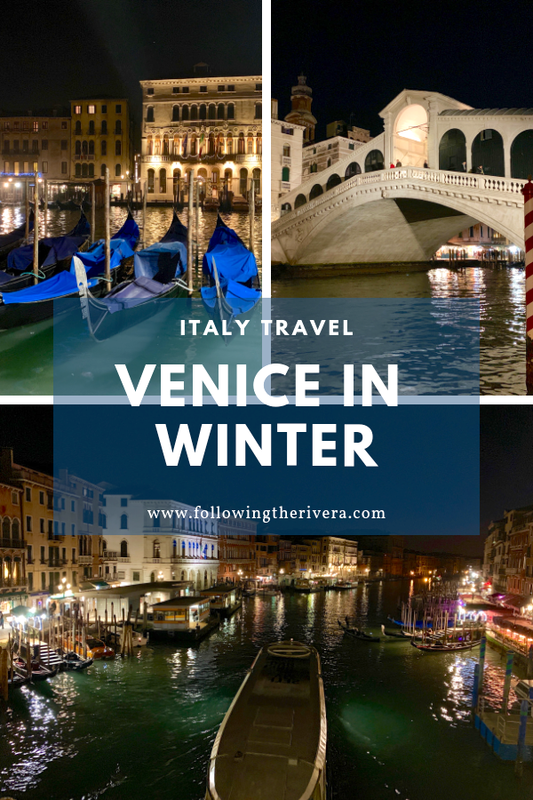 Have you traveled to Venice in winter? Or do you prefer to visit in summer? Drop me a comment below, I’d love to hear from you! The top reason for me to visit Venice in winter (if I ever do) would be the less crowds! Given how touristy that city is, it is literally impossible to find good angles to photograph without having too many people spoil it. And also, some really good hotels such as Corte de Gabriela mentioned by you, a nice 4-star boutique hotel, would be much cheaper in winter than summer. I had no idea though that it can also snow sometimes in the winter. Lucky that you encountered good sunny weather on most of your trips! Wow! Absolutely gorgeous photos. The first time I went to Venice was in the winter. I can totally agree with everything you wrote. There was hardly a soul around and it felt like we had Venice to ourselves. This was 30 years ago! I have been back in the summer and I wouldn’t go back again in the summer. I love your hotel recommendations. They look lovely. Less tourists would be a huge advantage to visiting Venice in the winter! It gets crazy in the summer. I’m surprised that the gondolas still work in winter? Venice had always been a dream destination for me. But with the recent news of so many tourists visiting Venice, I was quite apprehensive whether I would visit the place or not. I really did not want to visit my dream place and get badly disappointed! Now that you have written about how Venice is during the winter, I will go there during this time. Truly, winter makes the city even more attractive. Your photographs are really beautiful, does total justice to the beautiful city! We were in summer in Venice, with lots of tourists, hard to find where to park the car and lousy smell for water. So in winter is definitely worth a visit. Lovely photos. Thank you! Yes, I can imagine what it’s like in summer, which is why I avoid it! Aw thank you! I love photographing Venice, and it’s much more enjoyable without all the people in the way! That looks so amazing! I have always wanted to visit Venice. I first saw a documentary on it when I was around 12 or 13, and all the canals and water throughout the city just fascinated me. Looks like you were lucky with the weather, judging by your gorgeous photos! You’ve inspired me to visit Venice again, it’s a beautiful city and I get so upset when I see photos of the huge cruise ships arriving in the summer!! Those Venetian treats – the frittelle and the crostoli look divine. I have to admit, I wouldn’t have thought to visit Venice during the winter. It always seemed like a summer destination. But with the chaos and how buy Venice gets during the summer, what an amazing suggestion to go in the winter…when the city gets to be yours! How wonderful to be able to take photos without the hoards of tourists everywhere. I would like to try to ride a Gondola, even though I have heard it’s so overly expensive. But I guess it’s a one in a lifetime thing! But what a romantic city filled with so much interesting history and architecture to explore. Ha, I know what you mean! We’re there often, but never stop by Venice, so it was nice! In the winter, in the spring, any time of year really. Absolutely stunning pictures. Thank you! I love to photograph Venice, it’s a joy! 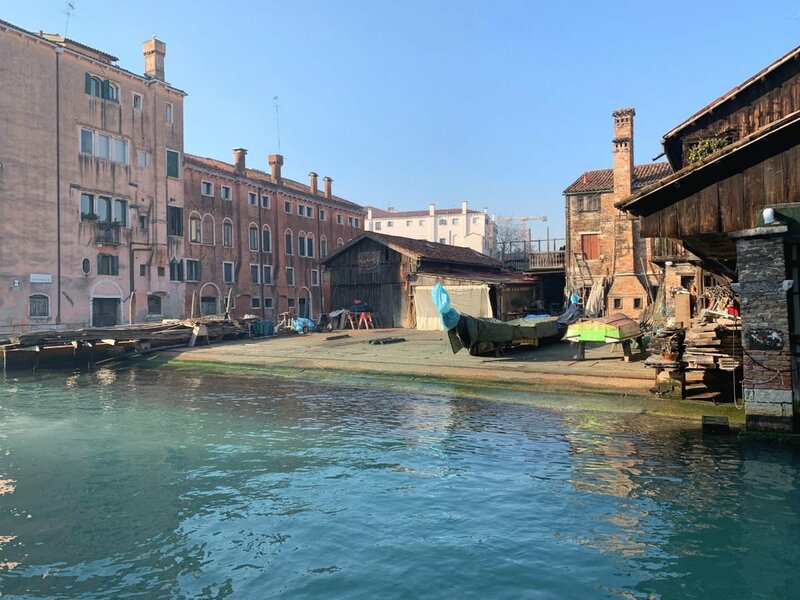 I just came back from Venice a week ago and you’re absolutely right – compared to the hoards of people in the summer, winter is much more tranquil! Experienced a lot more flooded routes & high tides in the winter though – pretty well managed by locals but can be a pain for sure! I would love to Venice anytime of the year! Visiting with low crowds would be the main reason I would go in winter. Also Pinned! Venice is beautiful! I visited during summer and fell in love. I can only imagine how much more in love I’d be going during winter. Your descriptions, pictures, and experience makes me want to jump on that plane now! Loved your photos. I have travelled to Venice twice now and both in summer. I should really rethink this and visit in Winter. Summer was so crowded both times we went. Great tips. Venice looks so much more authentic and less touristy in winter! I prefer traveling to Europe off season. I’d rather put up with bad weather than with the crowds. Besides, Venice is beautiful at any time of year. Venice has always been on our bucket list. And you have clicked some amazing pictures. Can’t wait to visit Venice and Lago di Braise this year. I am a frequent traveler and has not been to Venice yet, it will be in my bucket list. I am so glad to learn that it can be still fun and so many benefits to visiting during winter. My number 1 favorite is fewer people and crowd, that way I could have better pictures without photobomb. You can take pictures in winter without anyone photobombing it, I promise! I’ve always wanted to go to Venice. I don’t care which season, as long as I can go. It’s so beautiful. I’d love to go to Venice anytime, but winter sounds like a really great time. I think I’d like to take a gondola ride at least once, just for the experience. The water taxi sounds fun too. The hotels sounds wonderful too. I don’t blame you, it’s a one-off experience. Hope you get to visit one day! You’re welcome! Venice is so pretty, and I always love to return, more in winter though! Venice is amazing! I have visited this magical place a few years ago when the festival is happening! I have to admit it that it is even more beautiful when is not so crowded! Thank you for sharing your memories with us! I could not believe, for a while, that these were pictures of Venice. I have never seen any without people in it. The absence of crowds seems just perfect to enjoy the city and definitely consider it mine. Very often, I have dabbled with the idea of traveling to Europe in the winters. But I hail from the tropics and chilly weather scares me. However, these pictures are giving me serious winter wanderlust. Thank you for the compliments! I love Venice in winter, and am definitely used to the weather come winter. Hope you visit one day! uhg it’s just SO gorgeous that I could not stop looking at your pictures! I would LOVE to be able to do this one day – and now I know that winter is a great time to go. Wow, I see on your picture blog post that Venice is such beautiful and wonderful place. Thank you for share it. Ugh going to Venice is my dream! Going in the winter time is such a good idea too! It really is, you should visit! I would love to visit Venice anytime however; I love the idea of experiencing it when it’s not so busy. Great recommendations! Oooob I have to add this to the bucket list then! Reading this, I get enough reasons to plan a visit to Venice. Thanks. Wow so much information!! I’m going to save this for my future trip to Venice! I plan to visit Paris and travel a bit around the surrounding areas on my 30th birthday! Aw wonderful! I hope you get to visit, and have a wonderful time in Paris for your birthday! I adore Venice in winter! When we visited in February last year, we arrived late due to a taxi strike in Florence (missed our train) and literally ran through the city seeing as much as we could. I wish we had the time to try some Cicchetti or better yet, fine dining at Alle Corone and an overnight. (Although we did enjoy some delicious salami sandwiches on the go.) Reading your posts reminds me that I’m due for a more leisurely return trip. Like you, I will look to the more peaceful pace of Venice in winter. I read a post similar to this one as to why visit Venice in SUmmer. or perhaps it was in a Facebook post. All the more that i am excited to save for the trip and truly visit the place Summer of not. Venice in winter huh. I gotta try that out. The Lesser the tourists the better. I would never have thought to visit Venice in the winter but you’ve definitely convinced me. It is such a beautiful city. Venice looks more fun to explore when it’s not so busy. I’ll remember the off-season! It really is, and less crowded too! I would love to visit Venice someday. Looks like a beautiful place to see. 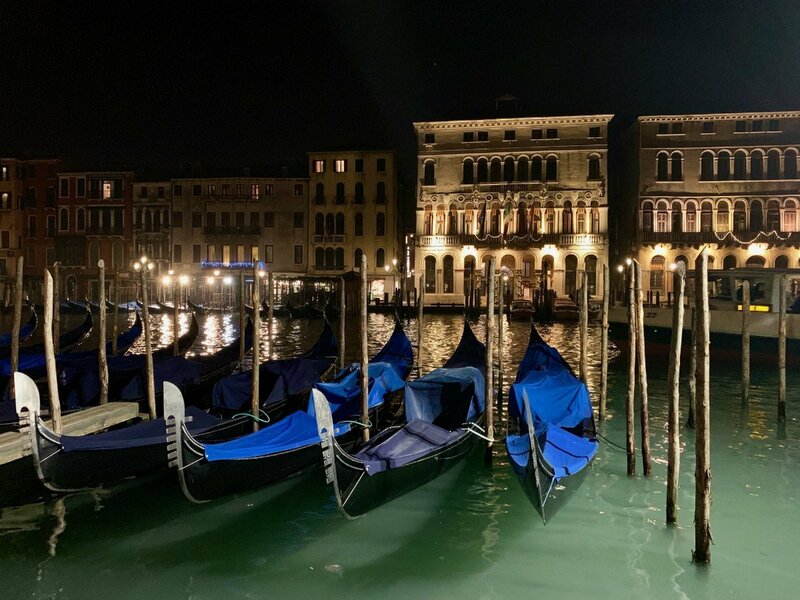 Venice is a must see, go soon though, it’s sinking…! I have never been there but it sounds like a nice destination getaway during winter. Perfect, that was the plan! I was checking the accommodation in your Booking.com and wow even in winter hotels are not cheap in Venice. I wish to visit it during summer maybe after my France trip. I will keep your recommendation. It really depends on when you start looking. Now it’s coming up to carnival season, so it won’t be cheap. But if you visit before Christmas and in January, it’s much lower in price. travelling in winter is a different experience. it is little bit excited when there is a less tourist. 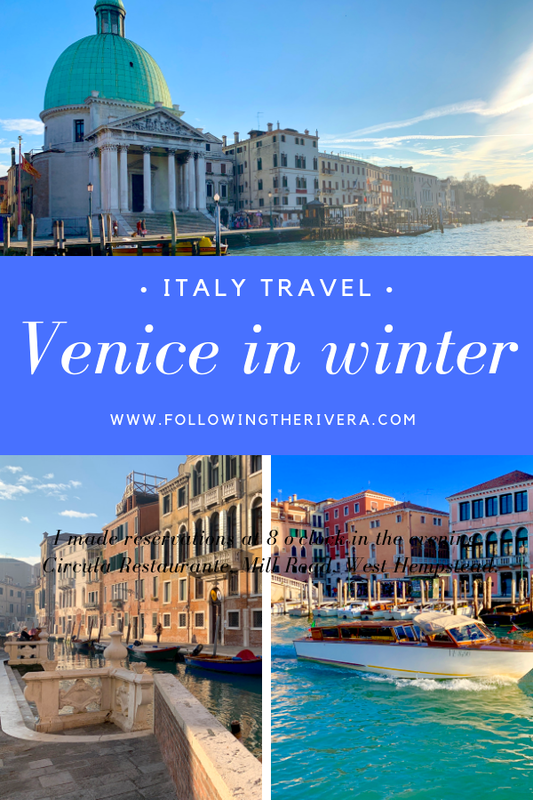 I would love to visit Venice in the winter based on your recommendation. Venice will always be such a magical place for me. I can’t wait to visit! The images are on point. I can sit on that waterside table and spend a whole day sipping coffee and worrying about nothing. Amazing images. I bet its great to visit Venice in winter as there are less tourists, great for taking photos and exploring! Venice is such a romantic destination. No wonder it is amazing to visit in winter. I love the idea of exploring the city in a water taxi. The hotels look awesome too. I tend to go back and forth between spring and winter being my favorite season so I would absolutely love to visit in the winter. You make it seem so amazing. I love Venice _ I’ve only ever been during the summer but I feel head over heels back then! I can only image what it is like in the winter. It’s amazing in winter, hope you come back! Looks like a fantastic place to visit. Thanks for sharing! Venice is really beautiful any time of the year, but gorgeous in the winter. Love that clear water and yummy food! Really helpful article for those who are planning to visit the beauty of Venice. U explained every details. Thanks for sharing. some friends have adviced me to be careful visiting Venice in winter because of frequent floods. I’ve always dreamt to visit Venice for the Carnival! Maybe one day! They did have flooding last year, but I’ve always been lucky to visit during winter sunshine, it’s the best!